If you were to flip over most everyday items made of polymer, especially those which are disposable, you would have noticed the triangular sign with a number within and maybe some alphabets below. This is the Resin Identification Code, and unless you were working with a disposable consumer item and your company is committed to label their product accordingly, you may not have given it a second's thought. 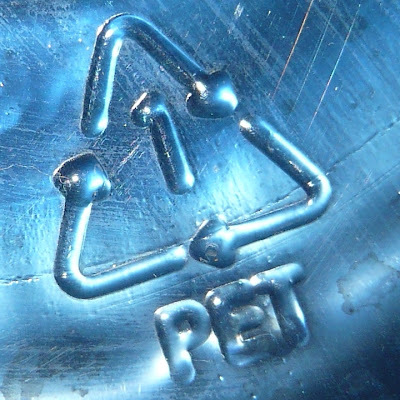 In order to address the recyclers' rising need for a clear indication of polymer used, Society of Plastics Industry, Inc (SPI) developed and introduced the identification code in 1988. This code is usually found in packaging and containers since these are the main targets of municipal recycling programs, seeing that they are one of common items encountered within residential waste. The code is used solely to identify the plastic resin in a manufactured item. In fact, the triangular label with 3 twisting arrows along with the number within are commonly misinterpreted. The number within is an arbitrarily chosen number to represent the target plastics, and has nothing to do with ease of recycling. A higher number does not mean that the plastics is harder to recycle. So why was there a need for such identification? Isn't it obvious what kind of polymer water bottles are made of? In fact, it isn't. Obvious that is. Disposable water bottles are usually made of PET material, while other bottles meant to be reusable could be fabricated from HDPE, PP or PC. Without the aid of the identification code, a glance at the plastic item will not reveal what the basic plastics is. And to know the type of plastics is important to recyclers. Being a recycled plastics doesn't mean that purity is unimportant. In order to get a purer recycled plastics, the collected items need to be sorted first according to their category. By getting the same polymer type together and transformed into recycled plastics, the outcome will have a property that is more predictable. 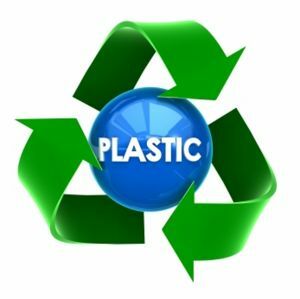 Recycled plastics will not have the same property as virgin plastics (that is the original manufactured item from virgin resins) but at least their properties are predictable if they are not mixed with other plastics during recycling. If the property has a manageable tolerance range, recycled plastics can be more easily introduced into engineered products. Engineers are mostly concerned with the performance and reliability of the plastics, and a recycled plastics which consists of mixtures of different plastics categories will have a property with much larger tolerance range. This will discourage engineers from choosing recycled plastics, which in turn, limits the use of the latter. All of this translates into a situation where everyone promotes recycled plastics but nobody wants to manufacture items from it because of its unpredictability. The development of Resin Identification Code with ASTM International meant that the coding is available for international use through the means of a standards, namely ASTM D7611, which was published in 2010. In the US, certain states have adopted the coding system into their legislation, governing the proper labeling of certain products. For engineers working on products which are meant for these areas, it will be prudent make sure that the label meets these requirements. In other parts of the world though, the coding could be governed by different legislation or it could be voluntary. It would be interesting to note though, that the coding is specifically mentioned not to influence a consumer's choice of the product, and should be labeled in areas which are inconspicuous, hence the reason why most of them are hidden underneath the bottles.